Yesterday, the story broke that if you were anxious and sideloaded the Google Play Music app onto your Glass that it actually worked. 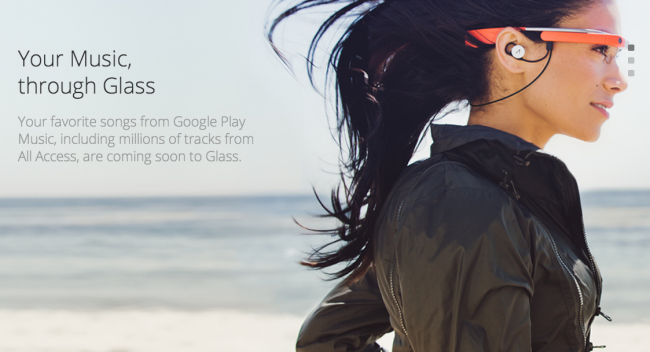 Little did we know, Google was only hours away from announcing official support for Music on Google Glass with a Glass Explorer to help tell their story. The Glass team took to its Google+ page to post a video featuring Los Angeles producer Young Guru and his experience using Glass. Apparently, Google has been working on integrating Music into Glass for a while and it shows through this video as well as the announcement of new Glass studio earbuds. Reportedly they will cost $85 and are designed to work with Glass as well as coming with interchangeable caps. The official Music support is not live just yet, but the Glass team said we will not have to wait long.